If you blinked back in 2002, you might have missed this lesser known Christian Bale vehicle featuring stylish gun kata and deliberate and sometimes excessive homages to George Orwell's 1984 (particularly the 1984 adaptation starring John Hurt). Indeed, one could describe Kurt Wimmer's Equilibrium as Orwell on drugs. Here, Orwellian propaganda is apparent in the frequent appearance of Father (Sean Pertwee) "teaching" the masses about the dangers of "feeling" and the need to relinquish that human quality for a stable society. The gesture is reinforced from the start by a veritable lecture, rife with images of human violence, in which Father reminds us that the people of this future have barely survived World War Three, and that humanity cannot survive another such war. We must not feel if the world is to survive, it seems; and so we must voluntarily purge emotion by taking injections of Prozium. On one level, this is hardly an irrational prospect, it would seem. Once we realize how this system operates, however, it's clear that we're no longer dealing with a voluntary system where we all sacrifice for the preservation of the whole: this future is maintained by a brutal police force which kills "sense-offenders" and burns anything from humanity's past -- ironically, they are called Clerics. It is the Orwellian and Bradburian "gamble" and fascistic "justice" married together. That nobody notices the contradiction suggests that Prozium is more than a mere mood inhibitor -- something the film doesn't quite explore. As such, the overarching narrative is a deliberate façade: not only is the prospect of removing emotion via injection simply absurd, but it is also definitively false. As to be expected, those who control the system are not immune to emotional outburst. Dupont (Angus Macfadyen), the voice of Father, doesn't bother hiding his emotions, frequently raising his voice and emoting in obvious fashion. That he turns out to be Father in the end -- and a hypocrite who does not take Prozium himself -- reinforces the emotive nature of Father, who at no point appears to be a totally non-feeling being; it likewise reinforces the underlying contradictions of the world. As Derrida might say: the true rogue State is the one which defines the rogue by rules that it does not follow itself. Other characters offer similar reinforcement, such as Cleric Brandt (Taye Diggs) who smirks, smiles, and nearly laughs on a number of occasions. Indeed, it's a wonder he was not burned to ashes much sooner in the film given how often he emotes. Though these elements may be flaws on the part of the director, I think they also reveal a more sinister form of dystopian control at the heart of Equilibrium. As becomes apparent by the conclusion of the film, humanity cannot help but feel because it is necessarily a desiring "machine." For John Preston (Christian Bale) to choose to cease his doses of Prozium, he must desire the activity. To father children, he must desire it. For this society to function, it must function on some level by the desire of those within it. Prozium is just the smoke screen through which an ideology of absurdist non-emotion can be reinforced. What makes the future of Equilibrium so troubling is not that humanity has been forced to give up part of what makes us "human," but that humanity has been tricked into believing that this is possible and desirable, whether by force or by coercion. Additionally, the film's apparent contradictions add to the sinister nature of the world as a whole. If Father is a "sense-offender" like everyone else, then what is on the surface a binary of non-feelers vs. sense-offenders proves to be a more complicated triangle in which the non-feelers (mythic though they technically are) are mere pawns in a brutal game of violent oppression. 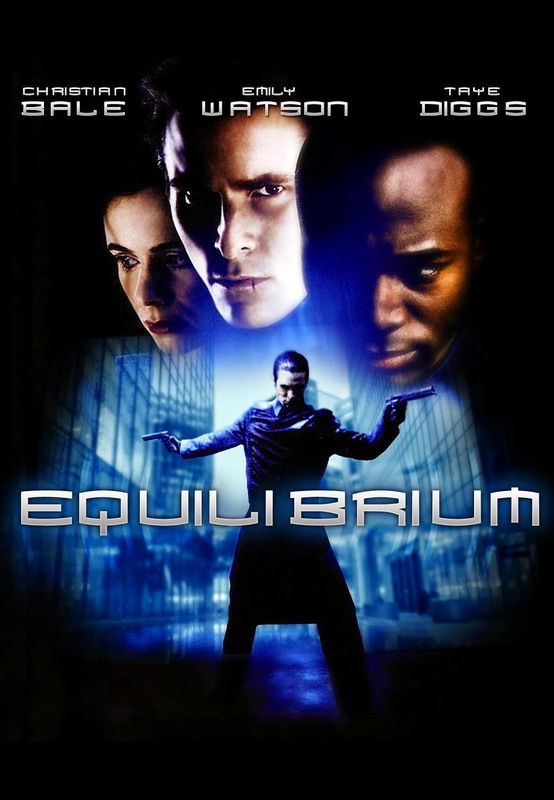 Equilibrium is a film about control of the human self, yes, but it is more accurately a film about controlling knowledge and expression. Ultimately, emotion is just the avenue through which the powers-that-be justify the right to control what is otherwise uncontrollable, and to do so in such a way that emotion is necessarily implicated in everyday action. This society isn't a non-feeling society; it is a contemptuous society which purports to have given up its emotions while actively desiring the suppression of what many would argue is naturally human.